RCPW is the one-stop source for your Tecumseh engine repairs. 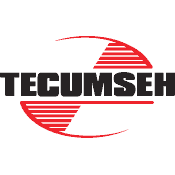 We have been an authorized Tecumseh engines dealer for over 33 years and can provide you with the best parts availability and service available. We have a full inventory of genuine components to help you get your machine back up and running, including hard to find and discontinued parts. With over 1.2 million parts available on our website, you'll be sure to find the part needed. Can't figure out which part you need to complete your engine service? Contact our expert team at 800-937-7279, enter your Tecumseh lawn mower engine part below or use our free parts lookup to find the perfect match to complete your repair. We have a large selection of high quality Tecumseh aftermarket replacement parts. Enter your part number above to find the replacement part you need! We specialize in replacement Tecumseh parts including aftermarket to save you money. We realize that making your repair cost effective is most important which is why we stock a large inventory of replacement parts that won't make your wallet feeling empty when your repair is complete. Our trained staff has over 220 years of combined experience with the Tecumseh brand and even more experience with small engines. We can answer repair questions through email or phone call. Some of the most common issues that we see are fuel and carburetor related. We can also help you diagnose and fix that starting or lack of spark issue. Contact us today with your problem and we will do our best to help you.